Shohor's Pharmacy on Avenue Joffre, from Russians in Shanghai (#10 on the list). Affordable Pharmacy of S. Umansky, at 664 Avenue Joffre. California Pharmacy, at 247 Avenue Joffre, owned by G. M. Torjevsky, run by manager and chemist T. M. Churlianis. Cathay Pharmacy, founded in 1930 at 1131 Bubbling Well Road, owned by H. E. Baruksen, operated by his wife and employing two Russian chemists. 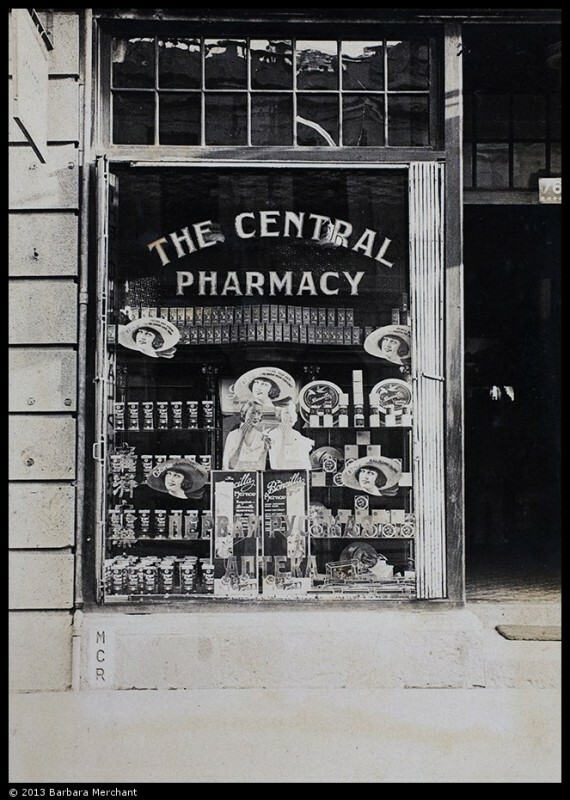 Central Pharmacy, at 10 Broadway, also by G. M. Torjevsky, employing J. I. Egin and I. G. Shasholin as chemists. Foch Pharmacy of V. V. Fedoolenko, at 901 Avenue Joffre, employing five people, including the owner's wife. This was the first Russian pharmacy in the French Concession, opened in 1923. Herbal and Ayurvedic pharmacy, at 21A Seymour Road, part of the Ayurvedic Hall Hospital run by N. D. Meller. Lafayette Pharmacy of H. N. Zundelevich, at 1240 Rue Lafayette, that employed the owner's wife and one other Russian lady. By 1941 Zundelevich also ran Empire Pharmacy at 161 Route Say Zoong. L. L. Nemirovsky's pharmacy, originally at 967A Avenue Joffre, later merged with Lee Sang Dispensary. Regal Pharmacy, founded by L. Moshevich in 1930 and later purchased by of E. Lvoff, at 1180 Bubbling Well Road, where the new owner employed his relative. 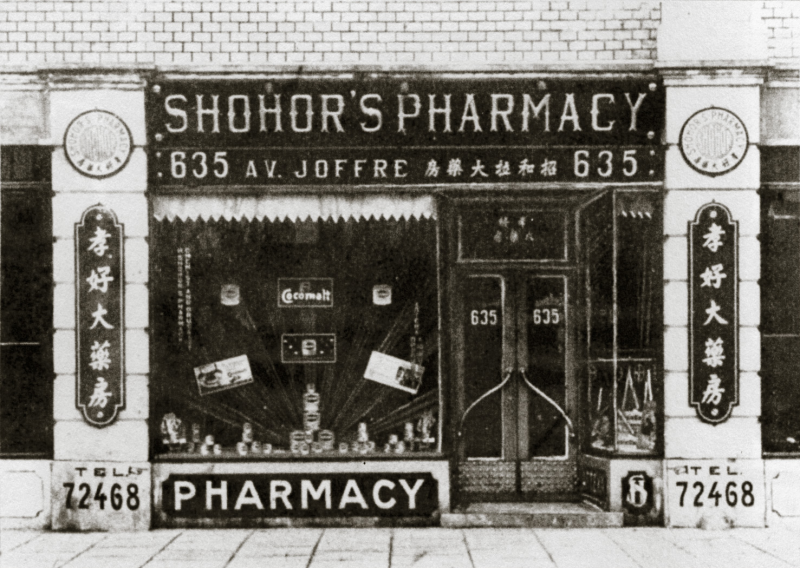 Shohor's Pharmacy at 919, then 635, Avenue Joffre, of H. U. Shohor, who was an experienced "old" pharmacist. Opened in 1931. Sine Pharmacy of M. A. Joffe, at 14 Broadway, next to the Astor House, founded in 1928 by Kirkor and employing two other Russian chemists. 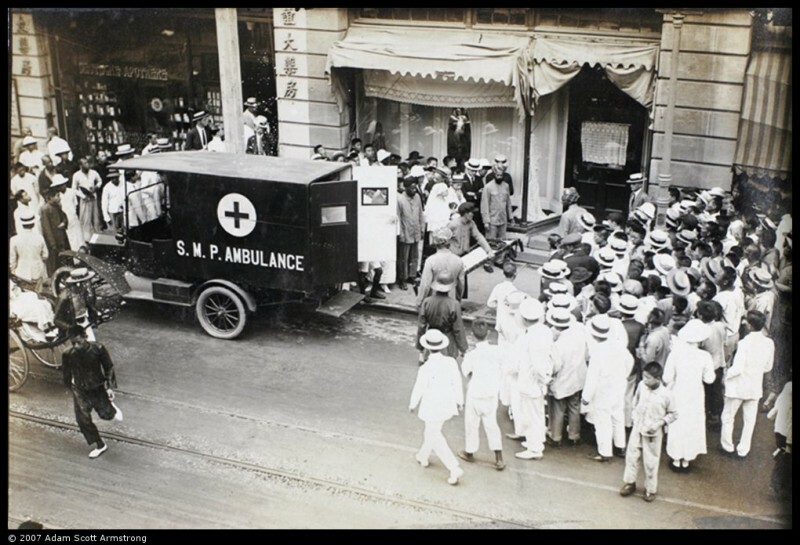 Sine Pharmacy at 601 Avenue Joffre, purchased from Joffe by S. K. Gurvitch. St. George's Pharmacy of J. S. Gohstand, at 1599 Bubbling Well Road, later owned by Masloff. 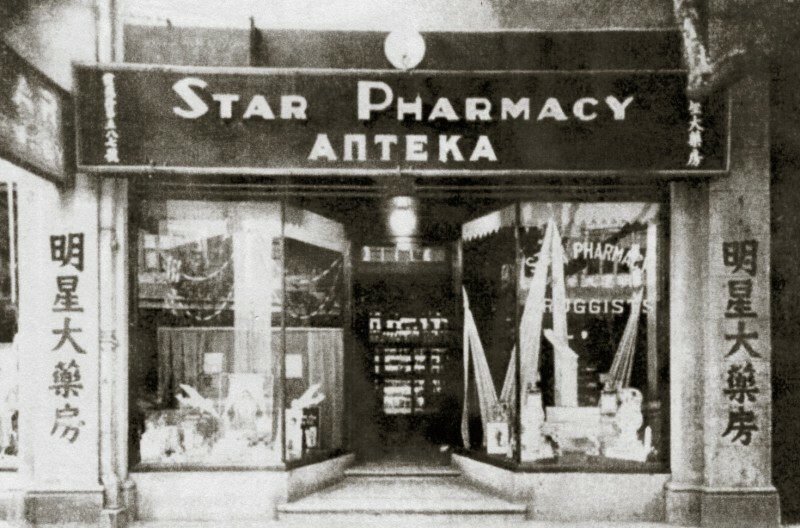 Star Pharmacy of B. Shmulevsky, at 837 Avenue Joffre. It was the first Russian pharmacy to open on Avenue Joffre, in June 1925. E. B. Tunik's Pharmacy, at 263 Avenue Haig. Tunik had moved to Shanghai from Tianjin, where he also owned a pharmacy, together with Dvorkin. Union Pharmacy at 760 Avenue Joffre, owned by A. G. Lioznoff, with another branch at 942 Bubbling Well Road. Vita Pharmacy of L. Moshevich (who also opened Regal Pharmacy), at 783 Bubbling Well Road. 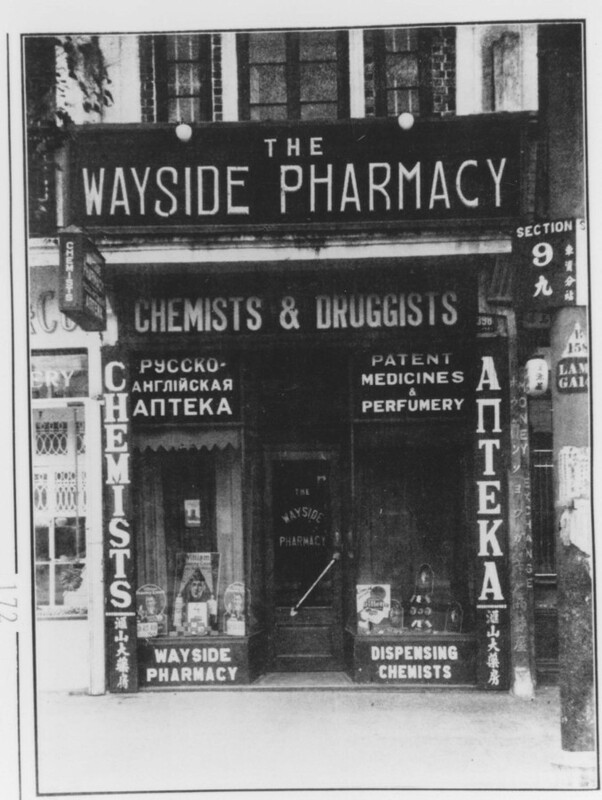 Wayside Pharmacy of Mrs Z. M. Reshina, at 1134 East Broadway, where two other Russian chemists were employed. Founded in 1930. Shmulevsky's Star Pharmacy on Avenue Joffre (#14 on the list). Deutsche Apotheke (Sine Pharmacy) on Broadway (#11 on the list). Source: HPC Bristol. Wayside Pharmacy on East Broadway (#18 on the list). Source: minguotupian. This list is far from complete and includes only the time period 1931–1935, when Zhiganov was conducting his research. Cathay, Foch, Sine, Regal, Shohor's, Star and Wayside are included in the book. Already at that time there were other, smaller Russian-run pharmacies that did not appear in English-language business directories, or were listed only by their owners' last names. After the book's publication, the number of Russian pharmacies continued to increase each year. "The whole thing was an accident. 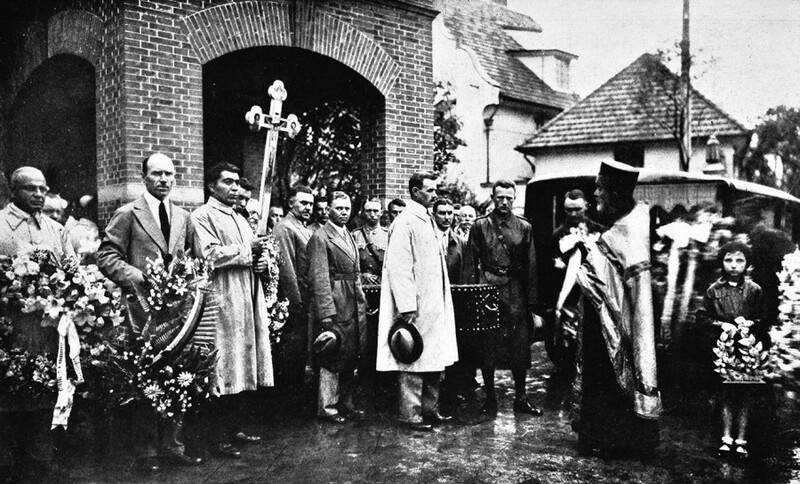 When I came to Shanghai with Admiral Stark's flotilla in 1922, he gave me a large sum of money (out of the sale of his ships) to compensate for my military service for him in Siberia. I did not know what to do with this money and where to begin. I could have entered the French police or opened some commercial enterprise. Then in January 1923, Russian doctor Pukhoff suggested: "Let's open a pharmacy." I answered: "What do I know about pharmacies?" He said: "We can rent a place for almost nothing. I'll open a medical cabinet, and you can sell drugs." The Chinese authorities at that time did not have many licensing requirements, and he was allowed to practice medicine. The French and English authorities also permitted this. Back then it was fairly easy to obtain large amounts of credit to purchase goods and supplies and start our pharmacy. Of course, recommendations were necessary, but I was able to get these. The money involved was not really that enormous. This seemed to me a much better alternative than to work in the police force. Of course, I knew nothing about pharmaceutical trade, so I had to study. I finished a two-year course organized by Russian professors in Shanghai and approved by the French Municipal authorities, and received a diploma. Unfortunately, my doctor had a very bad temper and had gotten into fights with other doctors on whom our trade depended. A year after we opened the pharmacy we went broke. By that time we were already eating up the inventory that we had bought with borrowed money. The doctor said: "To hell with you! I'm going to Manila." And he left me with my debts. I went to the French unicipal authorities and asked a permission to keep my pharmacy, which they granted. Then I hired a Chinese pharmacist and went to see all of the Russian doctors I knew. I visited all my friends and obtained additional credit. At that time I was the only Russian pharmacist on the French Concession, that is why the Russian doctors wanted to support me." 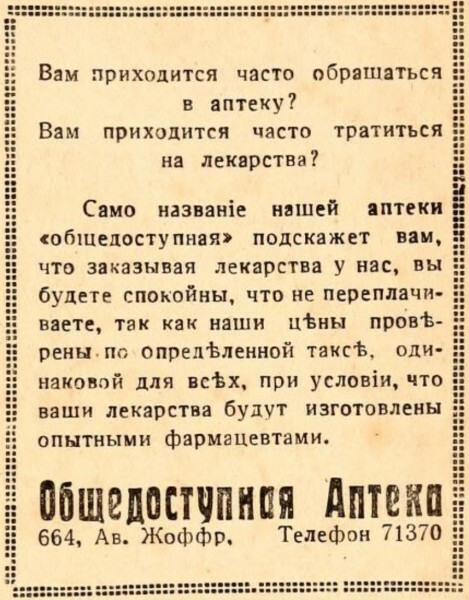 Advertisement for Fedoolenko's Foch Pharmacy, published in the magazine Parus in 1937.